Ippolita signature #3 hoop earrings shine brighter than ever in 18-karat gold with a downpour of pave diamonds. From the Ippolita Drizzle Collection. 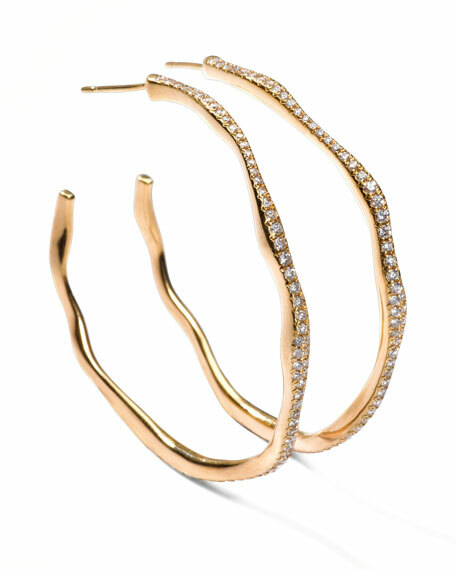 18-karat yellow gold wavy hoops with pave diamonds. 1.09 total diamond carat weight.